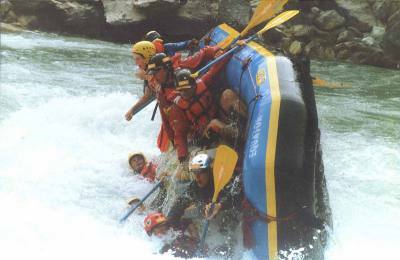 Rafting in Nepal is one of most popular sports in the country, as it is one of the rich countries in terms of water resources. Nepal is also considered to be the paradise for the rafting. There are more than 1300 rivers and small streams and many of them can be used for rafting. 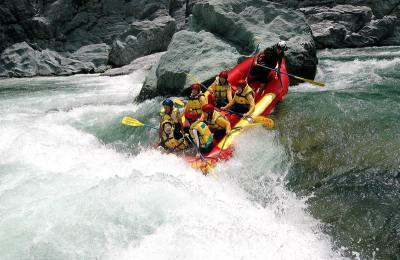 The white water rafting in Nepal is one of the most famous in the world as it can only be done such sport in Nepal. The rafting in Nepal is not mere encountering with challenge of the torrential rapids of the mountain river but also for exploring a typical cross section of the countrys natural heritages. The northern part of Nepal is confined by the ever snowing mountains- Mt. Everest, Annapurna, Dhaulagiri, Manaslu and numerous peaks. The melting snows of these mountains enriched Nepal to be the richest country in water resources. Therefore, it has made the country best for whitewater rafting. The rivers in Nepal are the best among the rivers in the world for river rafting sports, and it is obvious that the white water rafting in Nepal is never-ending thrills in the untamed rivers. It is no doubt that cruising down to rushing rivers of crashing waves and swirling rapids can make up excitement of a lifetime. 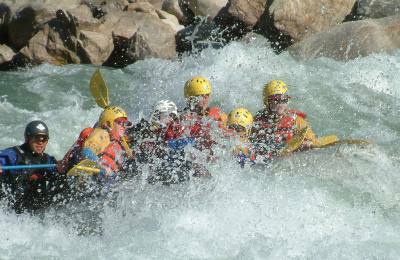 You may have remarkable experience, while rafting in white water in the rivers, as thundering waters coming from the glaciers of the great Himalaya. The variety of flora and fauna, the cultural heritage and charming smiles of innocence ethnic groups of people alongside the rivers are really waiting of your arrival. All the major rivers, Trishuli, Marshyangdi, Kaligandaki, Bhotekoshi to name a few that are created from the Himalayas and running down to the mountains, which offer tremendous and exciting experience of white water rafting to anyone who wish to have at least give a try once. The journey through the water in Nepal is one of the most enjoyable and effective ways to experience the spectacular scenery of natural beauty. The professional rafters and river-guides of the Himalayan Joy Adventure arrange overall rafting trips. Our rafting guides inform all the aspects of rafting and river safety before starting of each journey. Safety Kayakers are always along on high water expeditions. The river rafting mostly in--Trishuli, Seti, Bhote Khosi, Kali Gandaki, Marshyangdi, Sun Koshi, Arun, Karnali, Tamur provide one the worlds most thrilling for the adventure lovers.